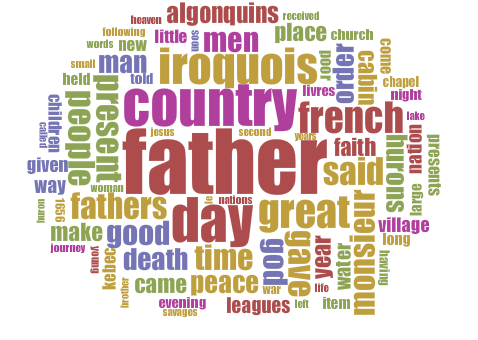 The following word clouds were produced using Voyant Tools by the students in HIS 2201E: Canadian History at Huron University College in the fall of 2015. 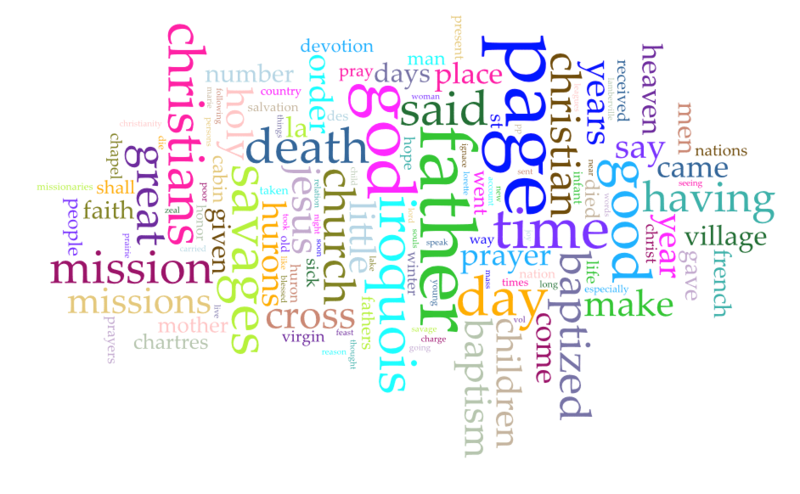 They were created from Creighton University’s digital transcriptions of these documents. 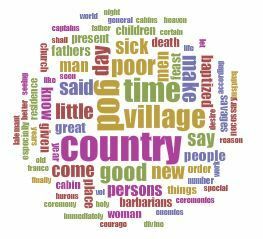 A word cloud is a visual representation of the words that most commonly appear in a document. 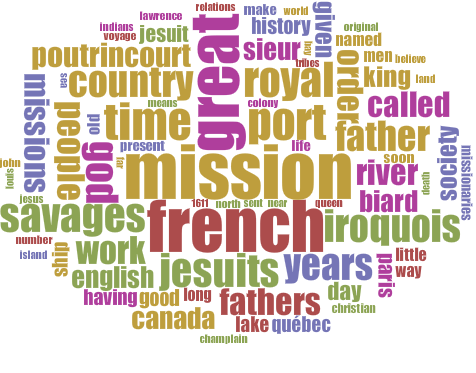 What do we learn from these images about the Jesuit Relations as a historical source? 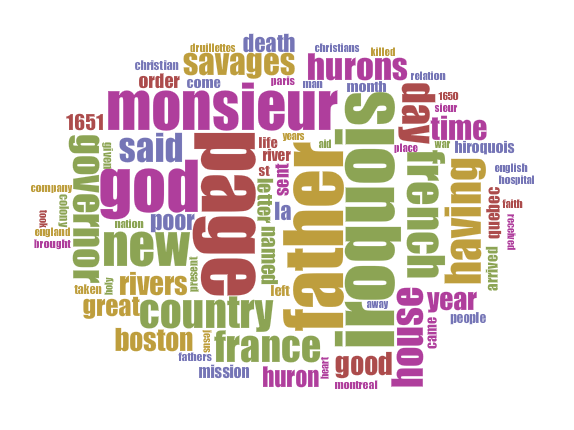 Interpretation 1: Word Cloud Analysis of the Jesuit Relations by Sean Kheraj and Tom Peace is licensed under a Creative Commons Attribution-NonCommercial-ShareAlike 4.0 International License, except where otherwise noted.